With co-funding from A Coruña city council, the Concello de Camariñas has created this route that makes use of new technologies and augmented reality to pin and add content to some of the points with the highest rate of accidents in the history of navigation. Shipwrecks are part of the history and imagery of the Costa da Morte, a north-east area on the Galician coast that, besides being a tourist geodestination, is protected by the “Costa da Morte” Red Natura (Nature Network) because of its environmental values and valuable and unique ecosystems. Camariñas plays a central role in Costa de Morte history and, especially, in the history of shipwrecks. This is testified by Vilán lighthouse – a reference in the history of navigation and the first one in Spain to use electricity – and the over fifty shipwrecks that took place along this municipality’s coast. There is nothing better than imagery and stories to sum up, in an engaging way, part of the historic references about these shipwrecks. This is why the route offers audio stories where the historic facts melt with legends. These can be enjoyed facing the sea thanks to augmented reality technology. Augmented Reality. Tools that can be downloaded on site from mobile devices, information, audio and data. This allows the visitor to view reality and overlap a layer with digital elements that offers information on the shipwrecks. “Camariñas Shipwreck Route” blog. 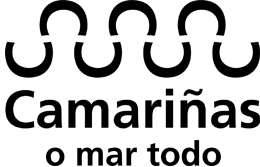 With information on each of the milestones, audio and other data that facilitate access and a stay in Camariñas. Those who visit our coast will find georeferenced milestones that offer a unique experience wrapped with information, images and stories about solidarity, robbery, history, situation, culture and the experiences of our men and women involved in those shipwrecks that affected human lives and the history of navigation; that linked cultures, myths, legends, human lives and very different socio-political and economic contexts. 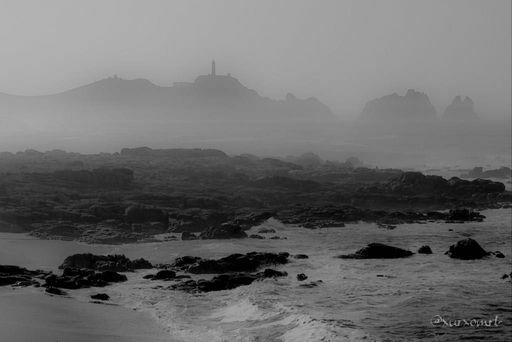 Like the fog, sea mist or tempests, all these stories fall beneath a halo of mystery that can now be discovered in our beautiful and wild legendary coast.